There is a particularly large and spacious living room, with dining table and 4 chairs, a quality double sofa-bed (double bed), and further large comfy chair, built-in storage cupboard, large flat screen TV (English Satellite TV - BBC, ITV, Sky News etc), plus a DVD and Hi-Fi system and WiFi internet access. 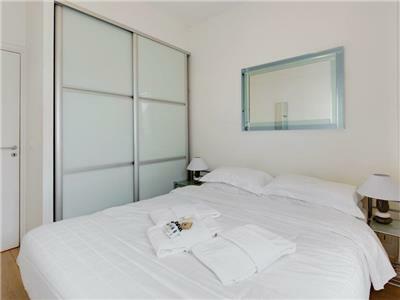 The bedroom is furnished with a King size double bed, large built-in storage cupboards. 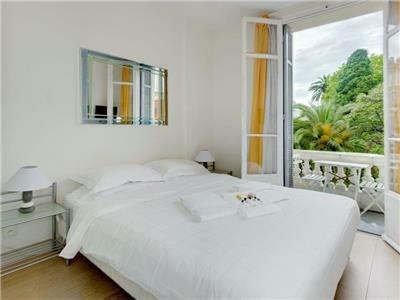 There is a lovely sunny balcony leads off the bedroom through full-height elegant French doors. 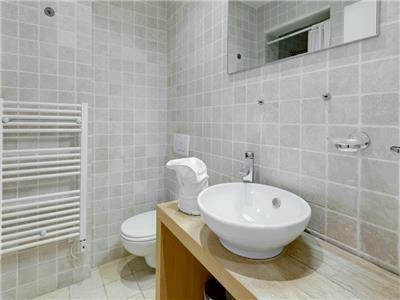 There is a large walk-in shower handbasin and WC. On entry you have a modern, bright kitchen with full facilities including hob, oven, microwave, large fridge-freezer and washing machine. 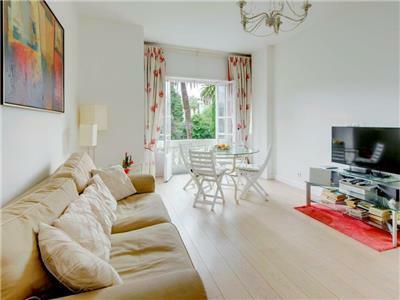 It has fully reversible air-conditioning throughout, with large multi-aspect windows which overlook lovely gardens, this West facing living room is a wonderful afternoon suntrap, while the luxury red curtains are a perfect backdrop to evening dining. 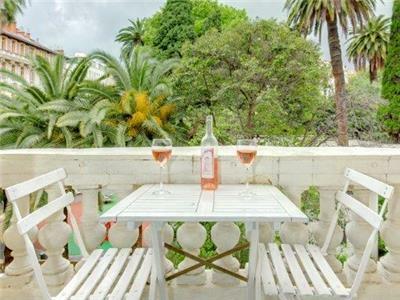 Equipped with a small table and chairs, it is the perfect spot for sipping a glass of wine while watching the world go by. This is a lovely bright 1 bedroom apartment - high quality building and very nice presentation - ideal for couple - highly recommended. 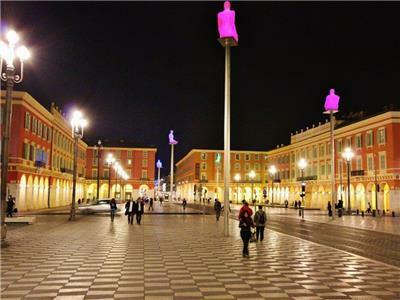 Place Massena	 Tourist Attraction 495 m.
Nice central train station	 Train Station 669 m.
Negresco Hotel	 Hotel Motel 697 m.
Cours Saleya	 Tourist Attraction 912 m.
Old Town	 Tourist Attraction 1089 m.
Place Garibaldi	 Tourist Attraction 1271 m.
Castle Hill	 Tourist Attraction 1368 m.
Nice Port	 Tourist Attraction 1570 m.
Promenade des Anglais	 Tourist Attraction 2.14 km. We thoroughly enjoyed our stay in 203 Hugo Park. It is such a lovely apartment with everything we needed. The location was spot on, only a 5 minute stroll to the beach and 10 minutes to the old town which meant we could reach the hustle and bustle of the restaurants and shops but had the peace and quiet of residential location! It has easy access to local shops and restaurants too which meant we didn't have to go far to find.lace to eat or drink. The kitchen was well equipped so we could eat in a few times too. 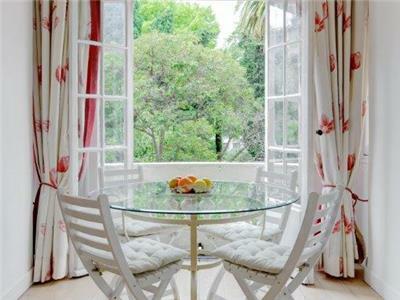 We really enjoyed our stay and would love to return to the beautiful apartment in Nice. I really enjoyed my stay at Hugo Park. The location is perfect i.e. 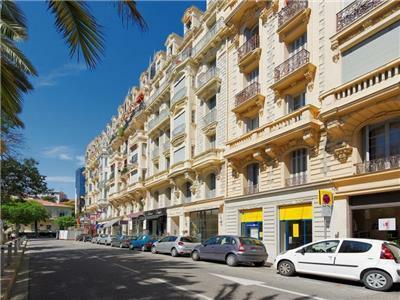 a few blocks to the beach, close car parks available, very walkable to Old Nice. 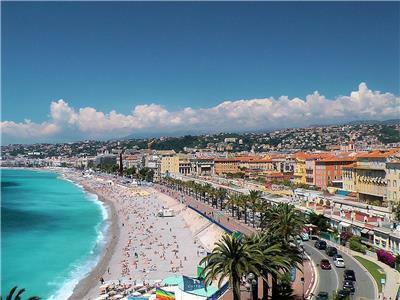 This was my second time I rented an apartment in Nice. The first time I narrowed my choice between Hugo Park with GoNice, and another company's rental. All the time I was in that other rental, I wished I had chosen Hugo Park... to on my second trip I did not hesitate to go with this apartment, and I loved it. Having a bedroom is great, and the overall size is perfect, fitting three of us easily. 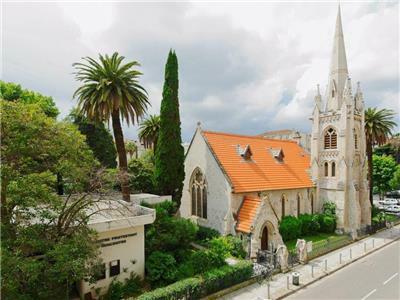 I especially like the view of the park and church, which makes the apartment feel open. The complimentary basket is great too. Overall, GoNice was very professional and quick to respond to my e-mails to make reservations. 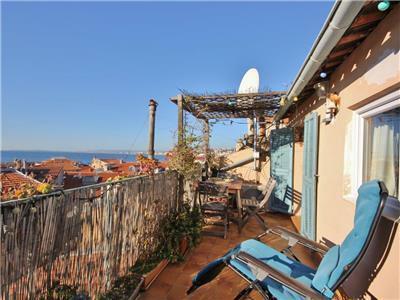 I love Nice, and I would definitely rent with GoNice again. 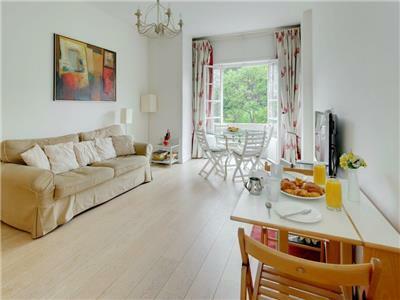 Hugo park 203 is a stunning apartment well located to all attractions .it is beautifully maintained and furnished to high standards. I would recommend it for a great holiday. 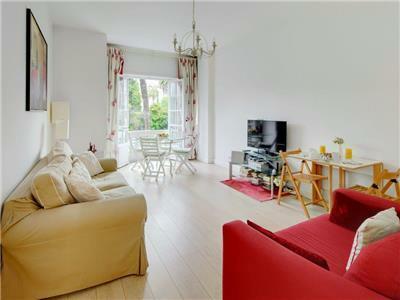 This was a wonderful, light and airy apartment in a very good location. We could walk to many many attractions, shopping, and the sea. Great bus service a block away. Picking up the key and finding the apartment was so easy and within an easy walk of the train. We had a slight problem with the shower and the response and repair happened the next day, great service! Biggest bonus, air conditioning! awesome. 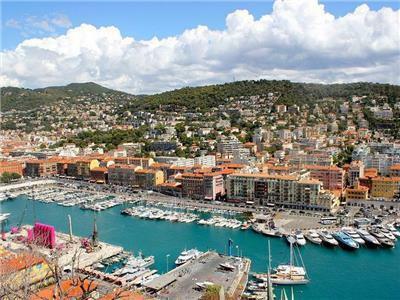 We will definitely be back to Nice and need a two bedroom because we're bringing family with us! Paul bent over backwards to accommodate us at very short notice.We had stayed in the apartment before and knew how very convenient it was to all amenities as well as having one of Nice's best restaurants two doors away.We were pleased to find that wi-fi had been installed since our previous stay.We were pleased to find how fresh and clean the apartment was when we first arrived. 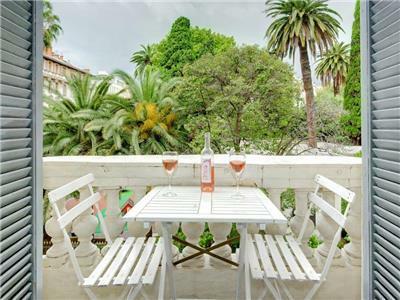 This was our third time in Nice but the first time we have rented an apartment and the first time we have used Go-Nice. Go-Nice delivered a very professional service from start to finish providing all the information and support necessary for a successfull trip and a comfortable stay. The apartment was great with a comfortable bed and a good shower. It was well equipped - I don't think there was anything that we needed that we couldn't put our hands on. Books, magazines, CDs and Dvds were also available and the welcome basket is a nice touch and much appreciated. It's in a great location but the only down side to this is that it can be a bit noisey - particularly from the early morning traffic. That aside - we had a fantastic week in and around Nice and the apartment was a real haven at the end of a busy day. This was our second stay in the apartment and we found it just as great as the first time. 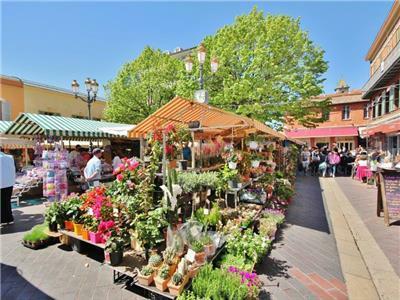 So very central, just minutes away from shops, the beach and the trams. 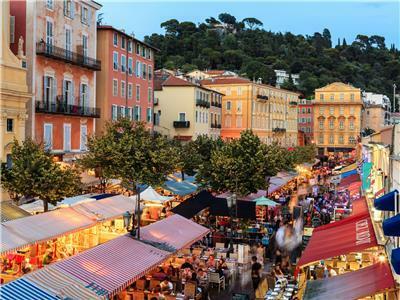 We used it more this time as a base, we went to Eze, Monte Carlo and Antibes. This apartment has everything you need, all mod cons and very comfortable. Overlooking a small childrens playground and a beautiful little church it was lovely to sit on the balcony in the evening sipping our wine! We have already booked our next stay. 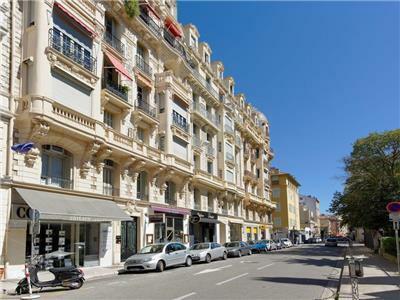 We stayed at the 203 Hugo appartment in Nice for a 5 day stay and thoroughly enjoyed our stay. The welcome basket including bottle of wine, coffee tea, etc was greatly appreciated. 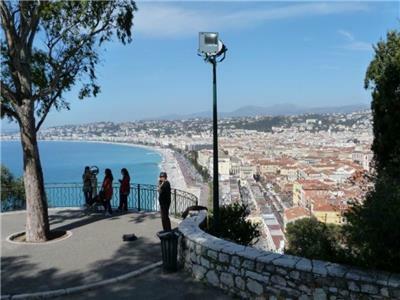 The location was ideal for local transport (which was cheap)and the sights of Nice. The appartment was very clean and the staff were extremely helpful. As we didn't leave till late in the evening the staff were very accommodating in keeping our luggage. 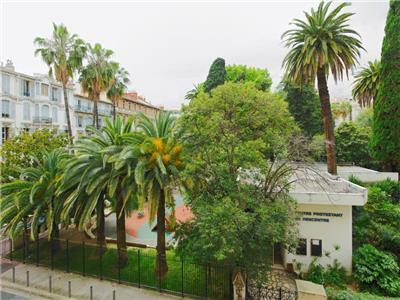 We really loved our stay celebrating our 10th anniversary and would definitely recommend 203 Hugo apartments to anyone looking for accommodation in Nice and we hope to return soon. We stayed here for 4 weeks and enjoyed our holidays. The apartment is well equipped. Excellent location, very friendly staff, quiet and clean. Special thanks to Paul Manion, there was our second experience with Go-Nice and very successful. 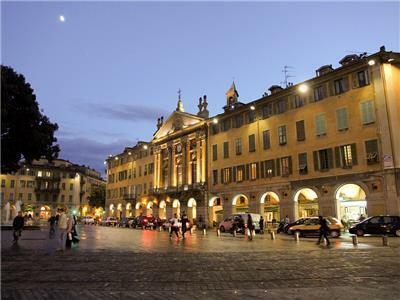 All you need are very close - shops, restaurants, bus and train stops. And we'll hope come back next year. Lovely apartment, good venue. Key collection and service were a breeze. 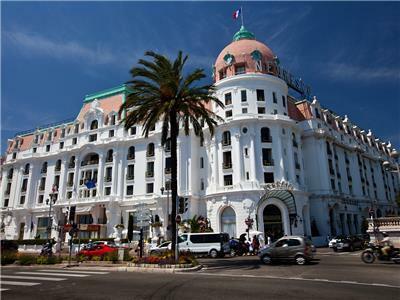 This is our 9th trip to Nice and we have always stayed in hotels. For some reason we decided to rent an apartment this time and oddly enough it was next door to the hotel we last stayed in. I am not going to go on at length about how good it was. Just put 'superlative' in every column. Oh and by the way we visited the offices of Go Nice (just around the corner) and the guy there was so welcoming. 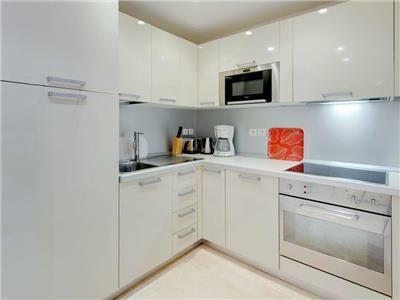 It is not very often you are completely satisfied with your lot but we loved this apartment and everything about it. The apartment was great - clean and bright. It was well situated for everything we needed and wanted to do. 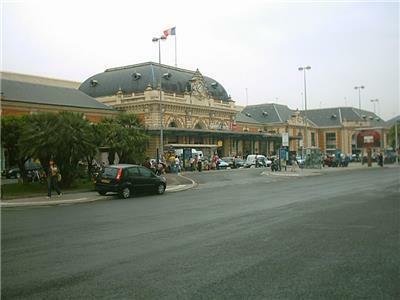 Good shops nearby, as well as the trams, buses and train station. Public transport is so cheap. Go-Nice were extremely helpful and everything worked like clockwork. We wouldn’t hesitate to recommend them to friends and (hopefully) will use them again ourselves. Thank you Paul and team. This apartment was a great fit for us-a family of four (with baggage) . and water , and flawless service from the property managers. From the moment of booking until the completion of our stay we had no problems whatsoever.Located apartment easily from the directions supplied. It was well prepared and we immediately felt at home. 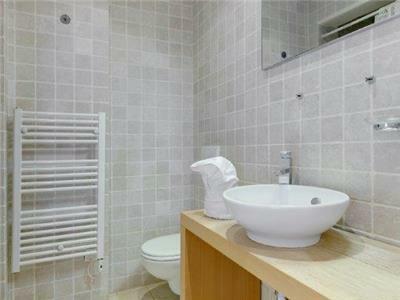 Ideally situated for centre of town and all amenities and transport links. Unusually we catered for ourselves on a couple of accasions and each evening enjoyed sitting on the balcony with drinks and the setting sun. Both property and Paul Manion's organisation can only be praised. Well worth a visit. Tony and Sue Lytle U.K. 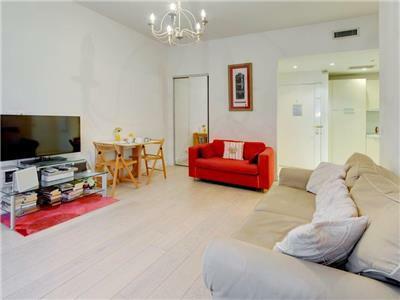 It is not often when a holiday rental delivers to one's highest expectations, but the lovely and spacious apartment at Hugo Park could not have been more comfortable. 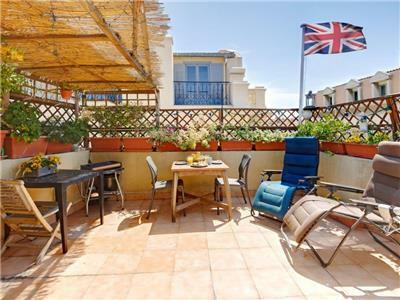 With all the little extras in the apartment and easy access to both the sea front and the wonderful Old Town we could not have been more pleased. The Go Nice office was tremendously helpful.